Over the last few years, I have experimented with all kinds of seed starting methods. I’ve used store-bought seed starting mix, all kinds of different ingredients, peat pots, plastic containers in the windows -- you name it, I’ve probably tried it. 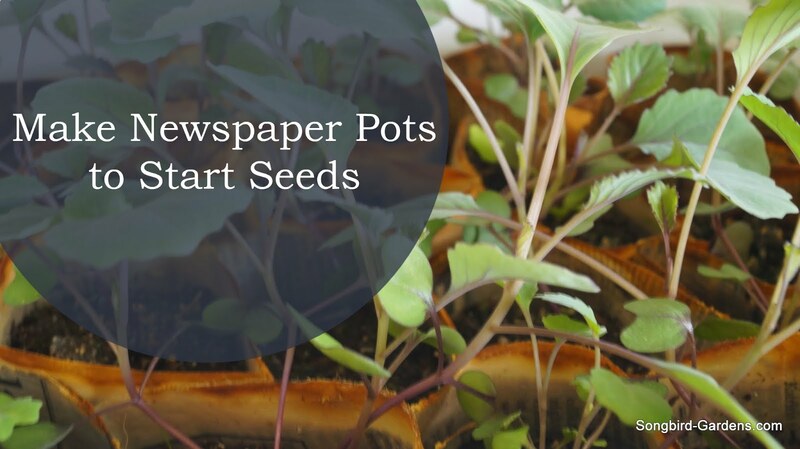 Of all the options I have tried, making simple newspaper pots for seed starting is the easiest, cheapest and best seed starting process. Lots of gardeners start with those little peat pots, including myself. After dealing with several plant failures, I discovered that the roots of many of my crops weren’t able to grow beyond that little net that surrounds the peat pellets, preventing them from growing properly. 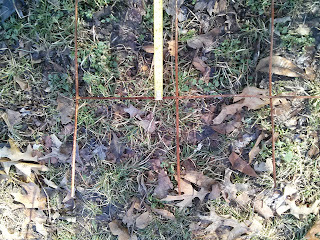 I was also disappointed to find many of those little nets were not breaking down very quickly in my soil. 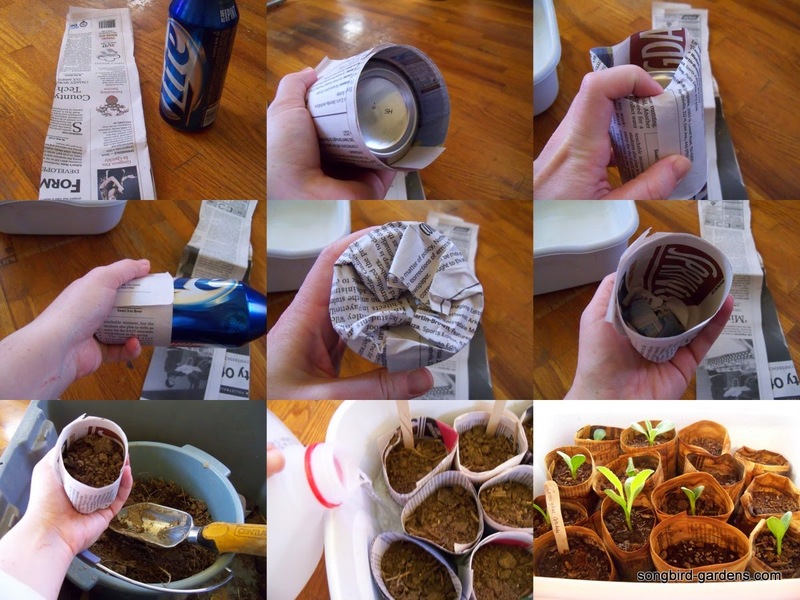 My solution is creating my own truly biodegradable plant pots out of newspaper. Not only do I save money by making free containers, I also save a lot by mixing my own simple seed starting mix. When making simple newspaper pots for seed starting, I used a pint beer bottle because I like the aluminum and it’s taller than the standard soda can, but you could use a kitchen glass, or just about anything to make your newspaper pots. 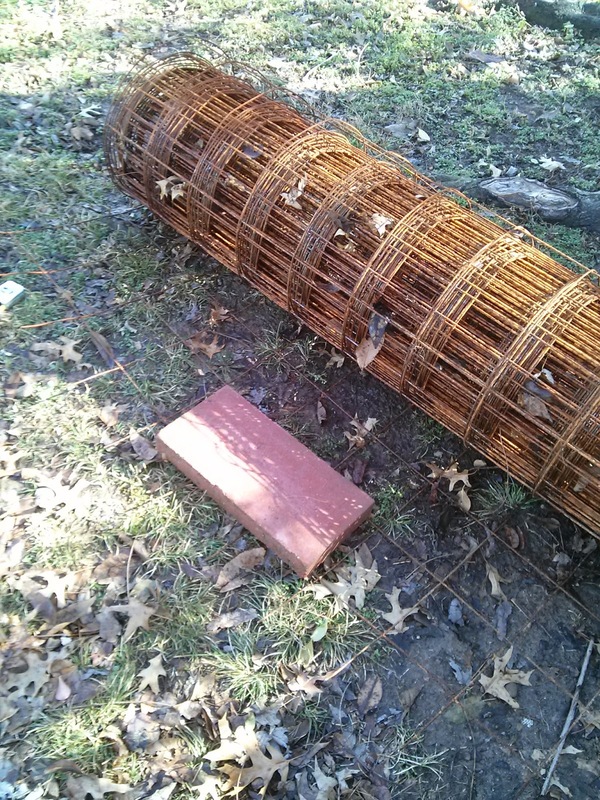 When it’s time to plant, I put the whole newspaper pot in the ground without disturbing my fragile plant roots. It takes no time at all for newspaper to break down in the soil and give the worms something yummy to feast on! How do you like to start seeds? Spring is here and the sun has returned to take the chill out of our bones. For those of us in the south, we are weeks away from planting summer crops. Those of you further north are probably working on spring veggies. 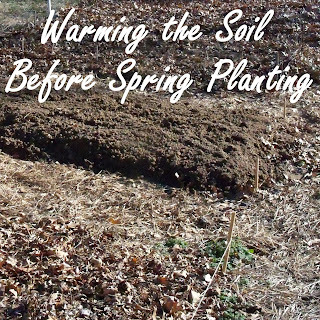 Regardless of where you are, you may want to start warming the soil before planting. 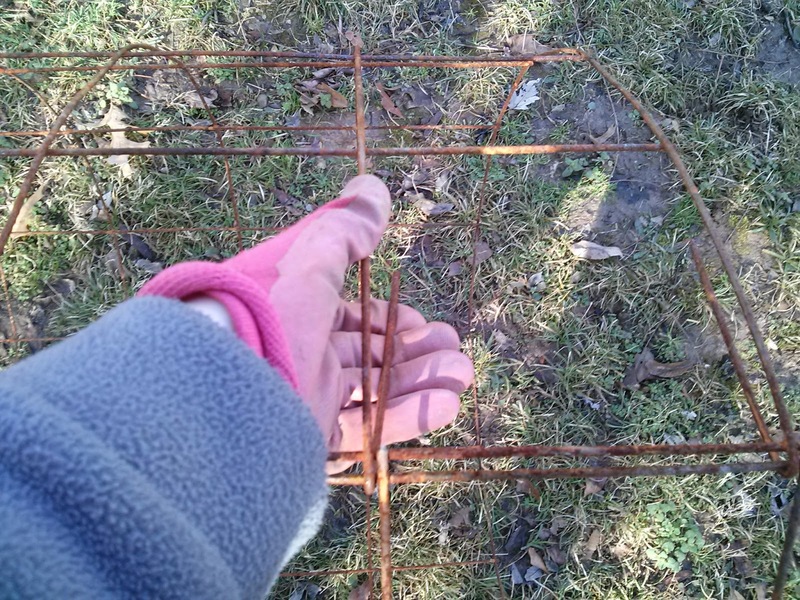 If the soil temperature is too cold, seeds will not germinate and plants won't thrive. 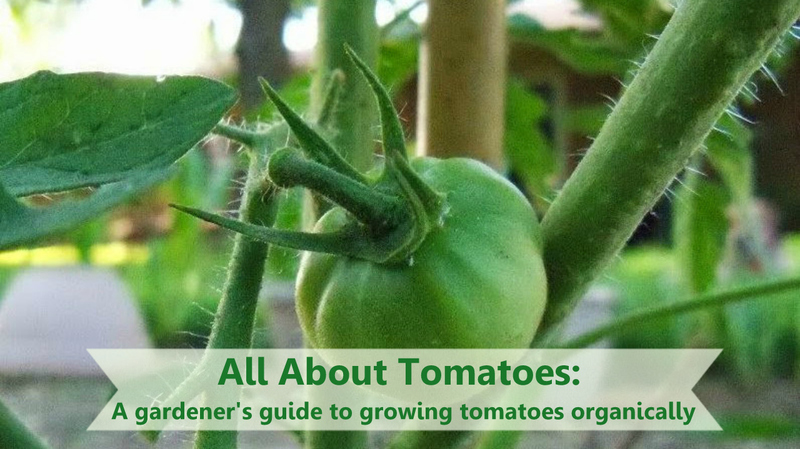 A tomato seedling, for example, won't die in soil that is too cold (unless the plant is exposed to freezing temperatures), but it also will not thrive and grow until the soil temperature raises, subjecting it to weakness, pests and disease. 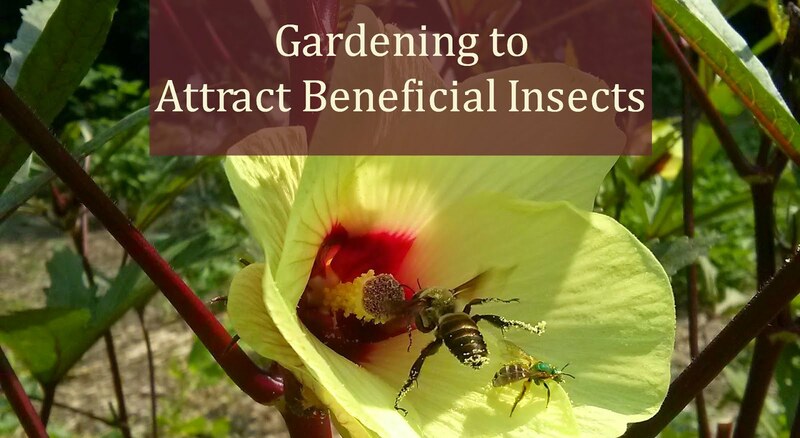 Stressed plants attract pests, and that is not a battle any of us desires. While I encourage heavy mulching, particularly over the winter, one of the first ways to warm the soil is to remove all mulch and expose soil to direct sun. This is about the only time you should actually see exposed soil in a no-till garden. When things warm up after planting, mulch again and keep the soil covered for the remainder of the year. 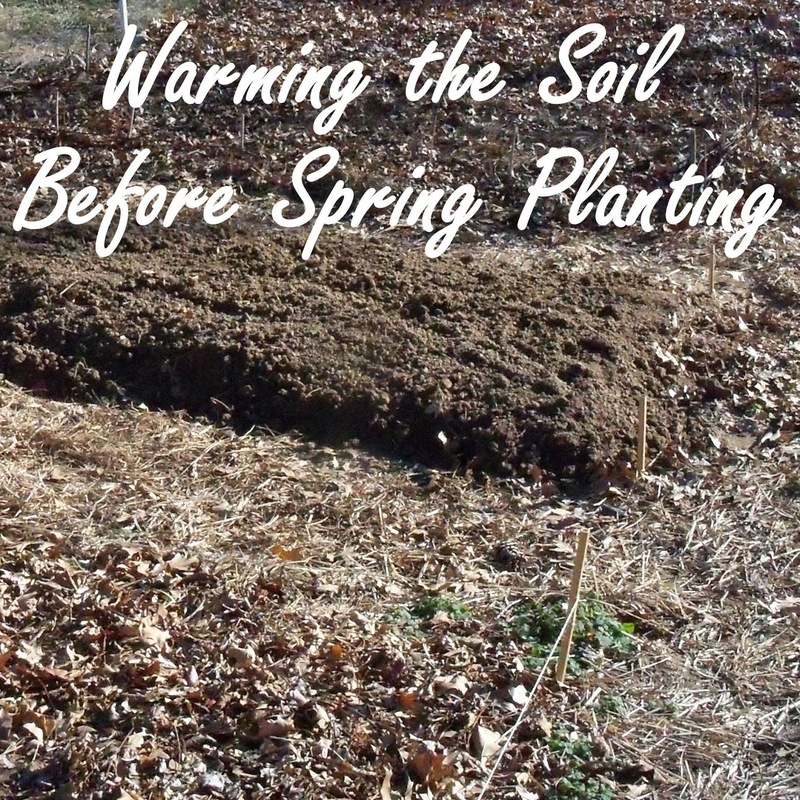 Allow a few weeks for exposed soil to warm before planting. 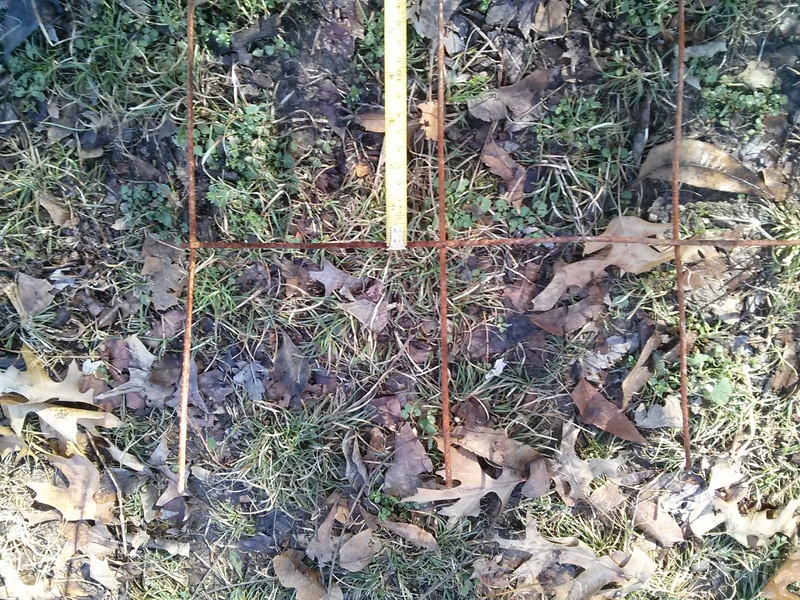 Check the soil temperature to make sure it is warm enough for what you want to plant. There's a great chart here on Gardener's Supply with optimal planting temperatures. In general, I like to avoid plastic products, but if you are in a big hurry to plant, you can use black or clear plastic to attract the sun's heat and warm the soil beneath. Either cut a hole in the plastic to plant, or remove it before planting. I would suggest removing all plastic and add mulch around plants before it gets very hot to avoid cooking the soil. Small efforts like ensuring the proper soil temperature before planting helps prevent problems later in the season. Save yourself some time and energy by waiting to plant until the soil temperature is correct. Are you planting anything in your garden right now? 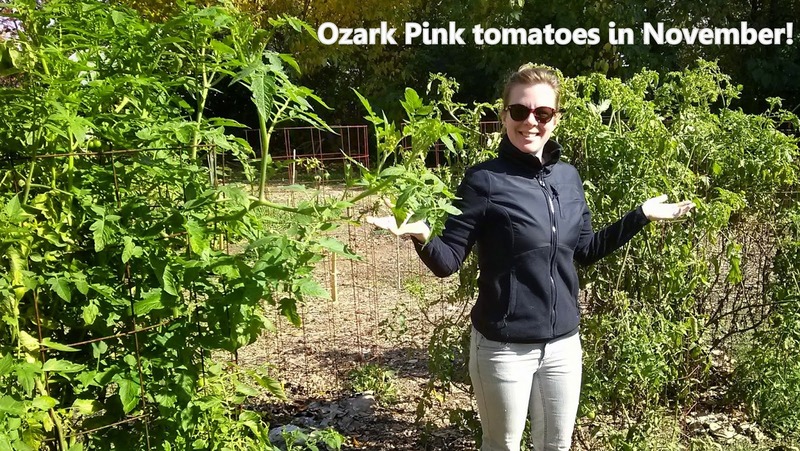 Putting the garden to bed for winter keeps the soil biologically active, prevents weeds, and prepares the space for spring planting during the cold winter months. There still may be time to get winter cover crops started in the garden, depending on your location. Even if you don’t have time to plant cover crops for the winter, there will still be time to plant them in early spring to “wake up” the soil biology before summer planting. We are in the season of ample free mulch. 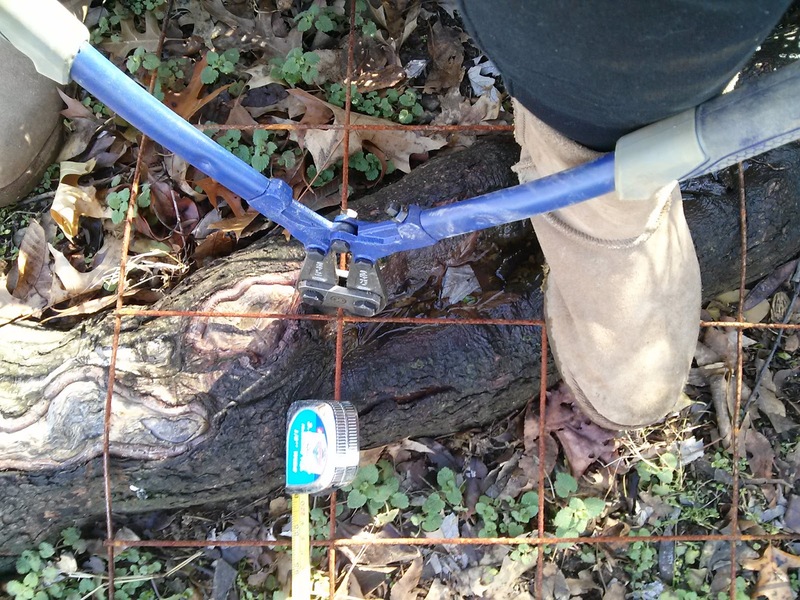 While tree leaves don’t offer much in the way of nutrients, they do break down and add valuable humus to the soil. Humus is what gives you that loose, crumbly soil that those of us with clay soil so desire. 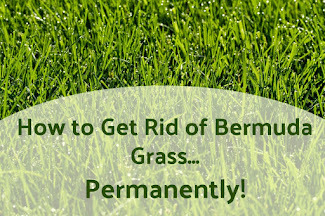 Whole or shredded leaves can be added to the soil once crops are removed. This process insulates the soil, prevents winter weeds, prevents soil compaction from rain and snow and protects from erosion. 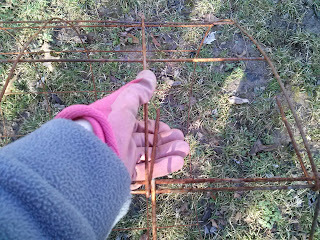 Never leave the soil bare over the winter. If you have been working hard all year to make compost from kitchen scraps, this is a great time to add it to the garden. Over time, the nutrients collected in that compost pile will leach out, fertilizing the soil under the compost pile. Go ahead and move that pile to your garden beds so those nutrients are located where they are most useful. The best spring gardens begin in the fall. Putting the garden to bed for the winter will keep those beautiful soil bacteria and fungi healthy and happy all winter, creating an environment ready for your spring crops when the weather warms again. 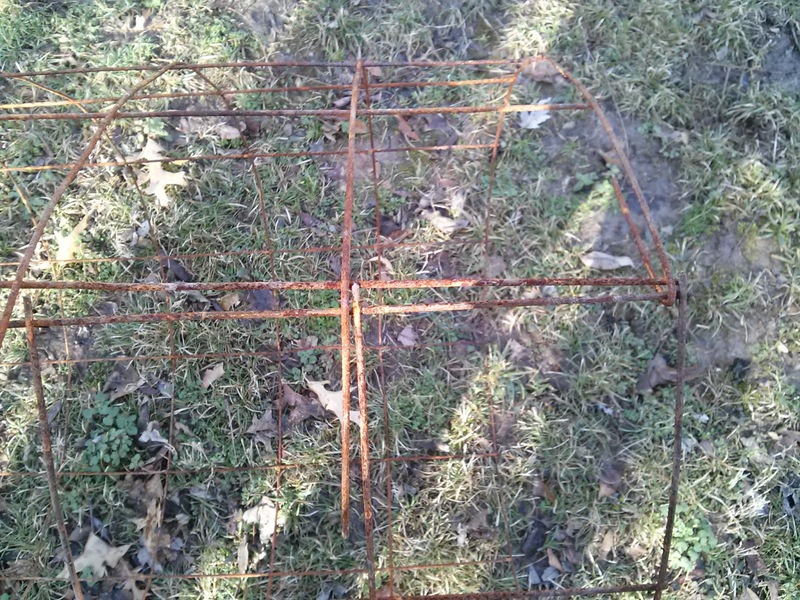 What do you do to put your garden to bed for the winter? Subscribe to my RSS Feed, connect on Google+, like me on Facebook, or follow me on Twitter so you don't miss a thing! It can seem a bit sad to watch the leaves fall because it indicates that winter is coming. However, each year I get excited for the trees to shed their foliage because my garden gets a healthy layer of valuable, free, slowly decomposing material. There are several benefits of adding a layer of leaves to the surface of your garden over the winter. Keeping the soil heavily mulched prevents compaction and soil erosion from winter rain and snow, prevents winter weeds, and keeps the soil biology active. Microbes and fungi in the soil still need to feed over the winter even though there are few plant roots to feed and keep them active. 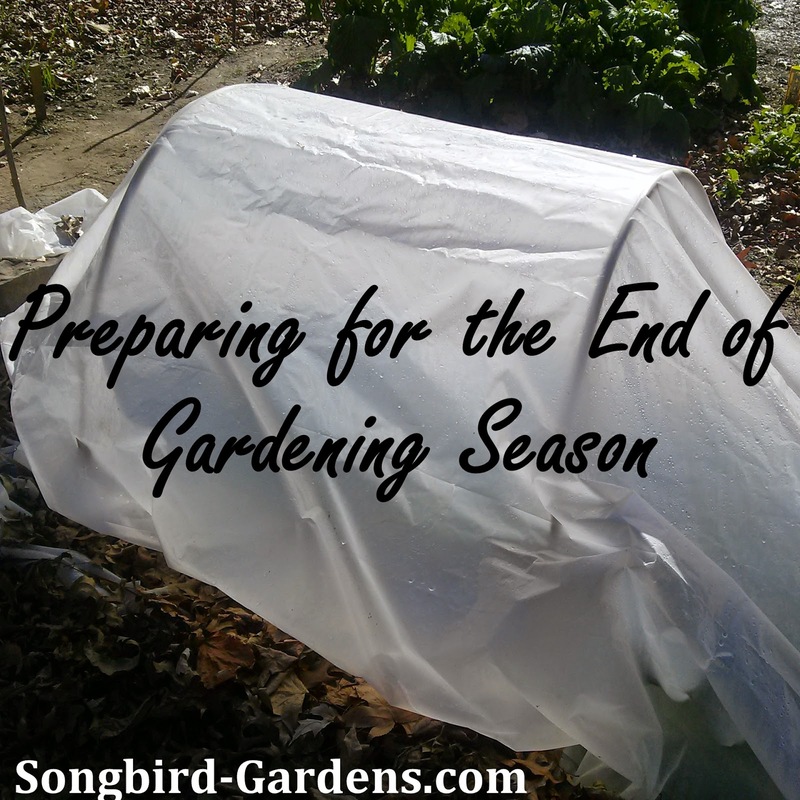 Leaves slowly decompose, offering a steady supply of food so the soil is active and healthy when it’s time for spring planting. If you want leaves that are completely decomposed by spring, run them through a leaf shredder before adding them to the garden. I also keep bagged leaves by my compost bin for an endless supply of brown materials to make compost throughout the year. Leaves are also a valuable element for expanding the garden. 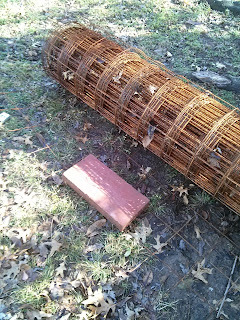 In November I prep new beds by laying down a thick layer of cardboard and topping it with at least 8” of leaves. 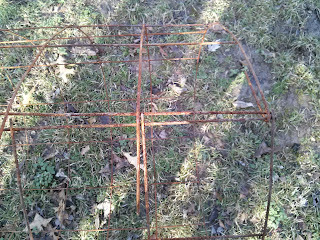 When it’s time for spring planting, I dig a hole and place my plants. By the end of summer, all the grass is gone and has been replaced with dark, loose soil. No tiller needed! Not only do I move all of my own fallen leaves to the garden, I import them from my neighbors. Several of my neighbors rake and bag their leaves in special bags that they buy from the city. I have asked them to bag their leaves in regular trash bags and I will come pick them up. They save money and I get extra leaf mulch. What is your favorite way to use leaves in the garden? 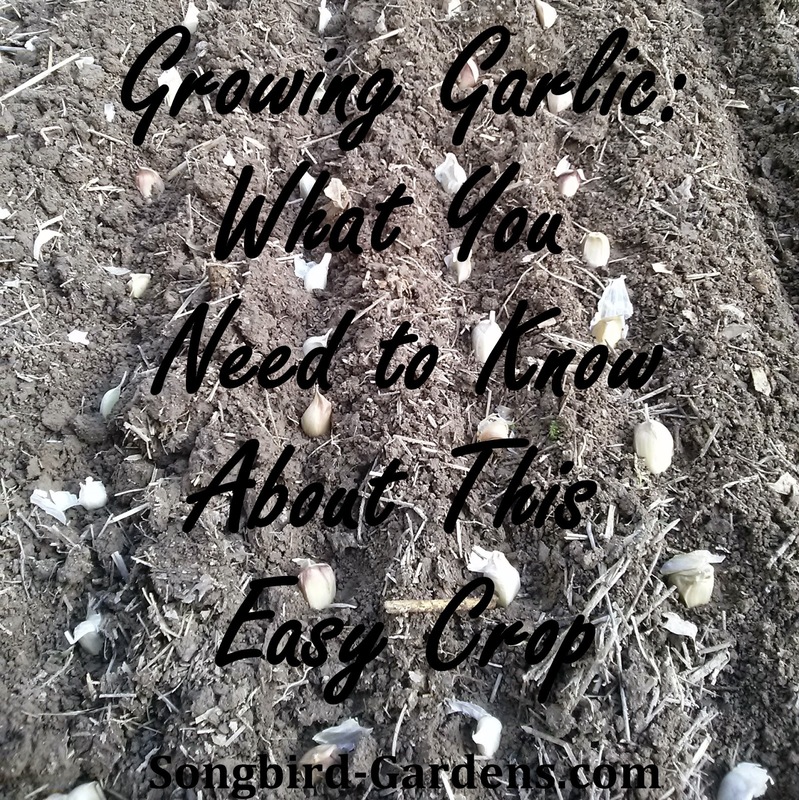 Growing garlic is easy, making it a perfect crop for beginning gardeners -- it is rarely affected by pests and is a pest deterrent when planted near other crops. It is not fussy about soil conditions, is cold-hardy, and stores well. If you ever wanted to try growing one thing, garlic may be for you. Garlic is a staple in my little kitchen. We go through a couple of heads a week, more in the winter because it’s in every soup recipe I make. It’s the first thing I look for when I start to get that sick feeling (chicken soup, anyone?) and it’s in my plague tonic, which I’m positive has spared me from many a cold virus. It’s safe to say, I always need garlic and I need it in large quantities. Seed garlic can be purchased online from many retailers, including Gardener's Supply, and should be planted at the same time as flower bulbs, in late October or November. It will begin to grow during the cold months and will really take off in early spring. Garlic is usually harvested around mid-June, left in the shade to cure for two weeks, then can be stored for the following winter. Space cloves about 4 inches apart. Any closer and the heads will grow smaller, farther apart and you’re wasting space and making room for weeds. 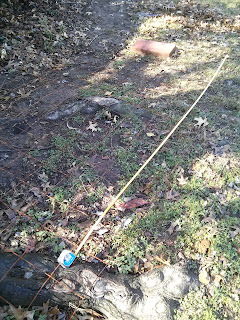 Every online resource will tell you something different about planting depth for garlic. That’s because everyone plants in a different climate. For those of us in NW Arkansas, planting each clove one inch below the soil’s surface is ideal. I like to top with a few inches of mulch for weed control and to insulate the soil. Garlic is as complicated or simple as you want to make it. You can purchase fancy varieties online, or simply buy a few heads at the Farmer's Market. Garlic is a root crop, and as such needs well drained soil. The looser the soil, the larger the heads will get, so break up the area well with a spade to get bigger garlic. Nutrient-rich soil is always best so add a good quality compost into the soil before planting. Soft-neck garlic grows scapes. Trim these off in the spring before they bloom to get bigger garlic heads. Cook the scapes or pickle them -- they have great flavor! Elephant Garlic: Not a true garlic, as it is more closely related to onions. Great flavor, easy to cook with. Growing garlic is an easy process, but it does take some time. As your garlic grows, observe the process and enjoy each step! What is your favorite way use garlic in the kitchen?